Singapore Airlines (SIA) has unveiled its new in-flight safety video, which takes viewers on a panoramic journey across various locations in Singapore, beyond the traditional space of an aircraft cabin. In this feature, viewers follow the Singapore Girl as she travels to familiar landmarks such as Boat Quay, The Intan Peranakan Home Museum, River Safari, Haji Lane, Adventure Cove Waterpark, Henderson Waves, Capitol Theatre and Gardens by the Bay. At each location, she meets diverse characters engaged in different activities that creatively demonstrate the safety instructions. The new safety video is a result of a bilateral agreement signed between SIA and the Singapore Tourism Board (STB) in June 2017, aimed at jointly promoting inbound travel to and through Singapore, and showcasing the city state to a global audience. Under the partnership, SIA and STB will jointly invest $10 million combined, over three years, to collaborate on marketing activities, event promotion campaigns and technology initiatives. In a joint release on Tuesday, SIA's senior vice-president for sales and marketing Campbell Wilson said: "Our new safety video provides a more captivating way of effectively presenting safety information to our customers as compared to the more conventional approach that we have taken up to now. At the same time, it proudly showcases many familiar spots in our home base of Singapore to a global audience." 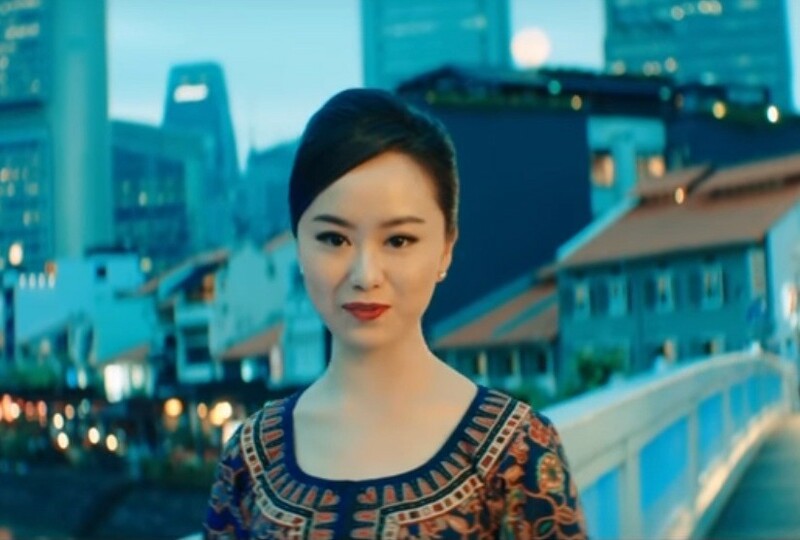 Ms Lynette Pang, STB's assistant chief executive, said: "We are delighted that SIA's new safety video offers a warm and refreshing take in conveying safety information by weaving in Singapore's vibrant cultures, attractions and sights. Through this video, which also celebrates the places and people it features, millions of travellers on board will get to acquaint themselves with the alluring possibilities that the city offers, while noting the latest in safety information." The new in-flight safety video will be screened on SIA flights from the end of the year.